While some are dealing with snow, I’ve been enjoying sunny South Florida. While there is definitely not as much to do as New York (and I definitely miss the city sometimes), I welcome the change of pace. Palm Beach is really beautiful and there’s nothing like a good t-shirt and jeans combo when to hang around town. I saw this Gucci Mystic Cat T-shirt on Farfetch and the sequined cat just got me. I absolutely love this shirt and they go great with my Zara ripped jeans (similar here) and blue Marc Jacobs handbag. The shirt is actually sold out but there’s several other cute ones. I also wore this interlaced Gucci ring that I adore as well- a pineapple, a monkey and an emerald. Check out photos of the ring and more below and if you’re up north, consider a trip to sunny Florida for a break! 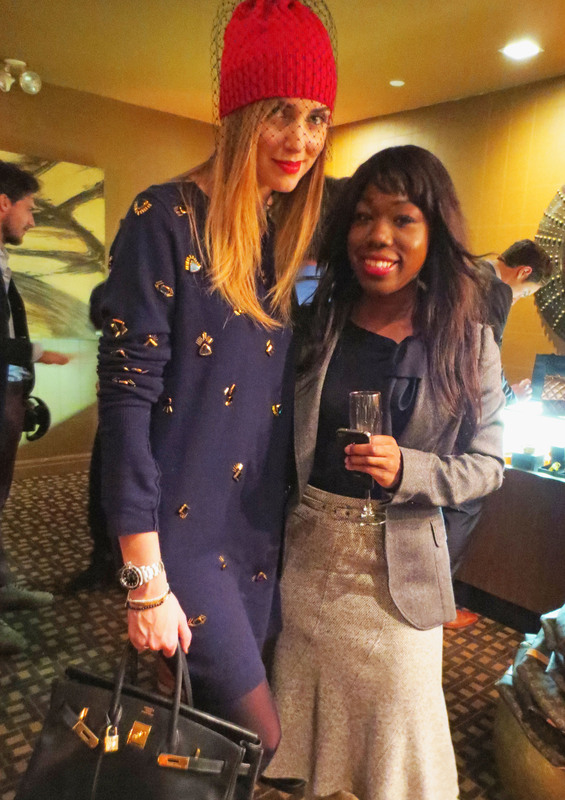 This week I met the Blonde Salad Chiara Ferragni who hosted the official U.S. debut and upcoming European Launch of LXR & CO at Empire Hotel. We were both wearing bright red lipstick and the red hat Chiari had on was to die for. I had on the usual work gear, a wool skirt from MaxMara, black blouse from MaxMara and a grey Zara jacket. We took a break for brunch from Lincoln across the street at Empire Hotel and it was great. We ate lobster rolls, steak and veggie skewers, crab cakes, mimosas and more. LXR & CO specializes in the online sale of vintage luxury good products where members can get designer labels at up to 80% off. So, bottom line, if you’ve got a great bag that you just don’t really use anymore, sell it to them and make some money. Or, on the flip side, get a beautiful handbag for less!